The Pharma Forum, being held on the 8-9 April 2019 in Singapore, brings together decision makers from various companies and organizations to share their best practices. This year HALAL will be one of the main discussion as the pharma industry is slowly moving towards providing the wide public with HALAL certified pharmaceuticals. Besides being a great networking platform, the attendees will also get to sharpen their knowledge on digital convergence and its impacts to the pharmaceutical industry. This very limited event focuses primarily on development and marketing in the prescriptive medication business. There will be professional networking, valuable industry learning and takeaways, as well as peer bench marking. What are the changes that you foresee in the pharmaceutical industry harnessing Halal certification? As in any shift from norm, should an industry player decide to venture into Halal certification of its products, some changes/adjustments would inevitably be required to be introduced into its process/system. 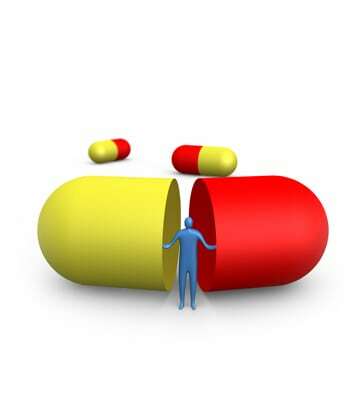 The good news is that the pharmaceutical industry is in a very regulated environment with its high standard of Good Manufacturing Practice (GMP), hence it is already halfway prepared for complying with Halal certification requirements, since Halal does not only mean permissible to Muslims, but it also manifests the safety, effectiveness (efficacy), quality and hygienic aspects of a Halal certified product – these aspects are an integral part of GMP in the pharmaceutical industry. As for challenges (I prefer to focus on “challenge” rather than “change” in regards to what the pharmaceutical industry would face in harnessing Halal certification), one of its main impediments is to obtain Halal compliant ingredients, especially the Active Pharmaceutical Ingredients (APIs) which are sourced from animals or include animal sources in the production of the APIs, albeit the key element is plant/chemical based. It is presently a challenge as the current demand for Halal pharmaceuticals does not beget a cost-effective production of Halal compliant ingredients. It is a chicken-and-egg situation which is difficult to resolve if only a handful of industry players are keen to venture into Halal pharmaceuticals. Therefore, it is pertinent for the all stakeholders in the pharmaceutical industry be sensitized with the need for, and impact of, Halal pharmaceuticals to its industry considering the Muslim population is almost 25% of the world’s population and growing. Moreover, Halal certified pharmaceuticals can also reach out to non-Muslims as the certification represents an additional third party’s verification that the product is safe for use, effective, of quality and hygienically produced. How does Halal certification enhance/boost up the sales in the industry? The concept of consuming Halal pharmaceutical products amongst the Muslims is a bit complex as it involves the interpretation of the flexibility of the consumption of non-Halal pharmaceutical products. That is why there is no immediate reaction nor significant increase in demand from the Muslim populated countries upon the availability of Halal pharmaceutical generics in the market. So it actually depends on how sensitized are the stakeholders with the concept of consuming Halal pharmaceutical products. From my experience in my former company, when there’s a high favourable awareness and understanding by the decision makers, it can lead to a significant boost to the demand for Halal pharmaceuticals. There was an increase between 16% to more than 2 folds of sales to targeted customers whom we were able to get buy-in from. I opine that as more awareness is inculcated and promoted on the right interpretation of the flexibility of the consumption of non-Halal pharmaceutical products, which is being actively pursued now in the ASEAN and MENA regions, it won’t be long for the boom to occur in the demand for Halal pharmaceuticals. Therefore, the question should actually then be – how ready are the pharmaceutical industry players to capture this boom when it comes? What is the importance of Halal pharmaceuticals for the general public particularly in ASEAN markets? I believe Halal pharmaceuticals would play a significant role in the decision making of healthcare choices by consumers as they become more and more discerning about the rights of patient choice. Not just about when and where they receive treatment, but also about what kind of treatment they receive, and how this treatment will be delivered. Patients are no longer the passive recipients of prescribing decision., Now, with abundant information available on the internet, they have their own views and beliefs about medicines. How they should be used and how taking medicine fits into their daily lives. In the United Kingdom, research conducted way back in 2004 showed that some 50% of medicines prescribed for long term conditions are not taken as advised, resulting in a huge burden of avoidable ill-health and premature mortality for patients. As well as, significant cost to the National Health Service (NHS) through wasted medicines, drug resistance and, more importantly, in dealing with preventable illness and complications. Other studies have also shown that patients are much more likely to follow treatment if they have been active partners in the prescribing decisions. Their views and preferences have been recognised and taken into account, including their religious obligations. Therefore, it is vital to start recognising the growing significance of the concept of Halal in pharmaceuticals. Not only in serving the domestic demand, but also in catering for medical tourism from neighbouring countries, MENA and Muslim patients from other parts of the world. What are the main challenges that you, and/or the authorities, see in creating awareness in regard to the given topic? The main challenge is educating all stakeholders on the right interpretation of the flexibility of the consumption of non-Halal pharmaceutical products, as it involves the preservation of life. One of the key concerns for health professionals is the availability of options which can cater for the patient’s religious obligations. Health professionals, in both private and public practices, need to be sensitised to the beliefs and views of their patients on medicines. They are key in influencing them on whether and how they take them, and also when accepting medical treatments. How do authorities monitor the industry to ensure the compliance of a particular company with regard to Halal certification? In the ASEAN Region, only Malaysia, Singapore and Brunei, and most recently Indonesia, have their Halal certifying body under a government body/authority. Only Indonesia has come up with a Halal law (Law 33/2014) which encompasses all consumer products. Brunei has an act which caters for Halal Meat (Halal Meat Act CAP. 183). In Malaysia, the regulation relating to Halal is included in the Trade Description Act (TDA) 2011. Whilst in Singapore, it is included under the Administration of Muslim Law Act (AMLA). The Philippines enacted the Republic Act No. 10817 – “Philippine Halal Export Development and Promotion Act of 2016” in May 2016 to promote the growth and ensure the integrity and quality of Philippine Halal exports. This Act, among others, mandated the Philippine Accreditation Bureau (PAB) to handle the accreditation of certification bodies, inspection bodies, and testing and calibration laboratories, instead of having the Halal certifying body under a government body. Thailand also do not have a government agency handling the Halal certification process, but its government has implemented the Halal Food Promotion Policy to drive the country’s economy by setting up the National Committee for the Promotion and Development of Halal Business and Products. Its key focus, among others, is to work out the examination methodology for Thailand’s Halal food. All these certifying bodies implement their own guidelines for companies to possess Halal certifications. Malaysia is a step forward by having its Halal guidelines developed in the form of international level standards, i.e. adopting the ISO methodology in developing standards, for each of the different categories of consumer products, namely food & beverages, pharmaceuticals, cosmetics, other consumables and logistics. These standards are called Malaysia Standard (MS) upon obtaining the approval of the Minister after undergoing various development stages – from drafting by a working group comprising of industry experts, practising Shariah and technical experts, together with related academia and government agencies, right up to public consultation. Currently there are 21 MS which have been developed for Malaysia’s Halal industry. MS2424 Halal Pharmaceuticals – General Guidelines was the first Halal standard in the world for pharmaceuticals. Why is this a right time for pharma industry to look into going Halal? It is because patients are no longer the passive recipients of prescribing decisions. Now, with abundant information available on the internet, they can express their own views and beliefs about medicines and their use. The health professionals are getting more discerning about this, and therefore it is inevitable the pharma industry will come up with the alternatives for them as a business strategy to meet the demands and needs of this large consumer group. Just like the trending for wearing hijab, way back in the 1980’s and before, it wasn’t a lifestyle then, but now hijab and modest wear is a booming industry. Yes, it seems slow, but wouldn’t you want to be first to market and ride the wave? How does the industry cope with the technology advancement? The Pharma industry can ride on the technology advancement to come up with Halal alternative products which are not animal based. The products will not only meet the Halal requirements but will also cater to the preferences of the Hindus, Buddhists, vegetarians and vegans. The technology advancement can also be utilised to develop systems that can cater for “Halal Built-In” in the production and supply chain of Halal pharmaceuticals to ensure that Halal integrity remains intact and traceable from “farm to fork”. This would facilitate in making the application and process for Halal certification a lot more efficient and transparent. It will pave the way for a higher success rate of obtaining Halal certification, and more importantly sustain the Halal certificate acquired. The Halal certification process does not only involve an adequacy audit, i.e. verification of documentations in support of the Halal compliance in manufacturing a product, but also entails an on-site audit to verify the implementation of the compliance procedure adopted by the Halal certificate applicant. Plus a surveillance audit, which is conducted unannounced, to ensure Halal compliance is continuously adhered to post-certification. « Opinion: How can we restore trust in the food industry?